Error 1603 means Framework 3.5 isn't installed or enabled. You can enable the .NET Framework 3.5 through the Windows Control Panel. This option requires an Internet connection. Press the Windows key Windows on your keyboard, type "Windows Features", and press Enter. The Turn Windows features on or offdialog box appears. 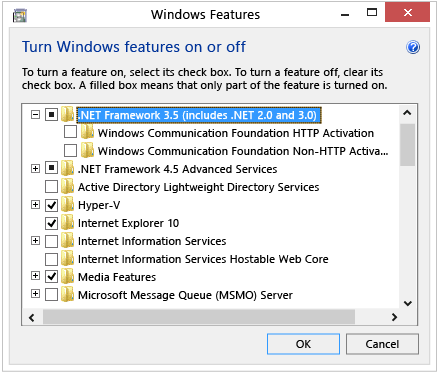 Select the .NET Framework 3.5 (includes .NET 2.0 and 3.0) check box, select OK, and reboot your computer if prompted. Alternatively download and install .NET Framework 3.5 package from Microsoft official website and restart the computer before updating any driver with Driver Genius. Please submit a request if you need help or further assistance with the Driver Genius software.